The Collie’s centuries-old history as the protector of sheep suits it well to be the protector of the family, especially children. Being remarkably intuitive and protective, Collies are “almost human in how extremely intuitive they are to their people.” Because of this, intuitive protectiveness, combined with high trainability and an eagerness to please this makes the Collie a superior family dog. They love to please their owners and really hate being bad, thus making them extraordinarily trainable. The more time you train and interact with a Collie the smarter they become. They thrive on stimulation, so they excel in therapy work and obedience. Those people wanting to adopt a collie must be willing to spend the time it takes to bring a Collie to his full potential and in return will be rewarded with the Collie’s loyalty, devotion, affection and a canine soul mate. The Collie truly is a noble dog. 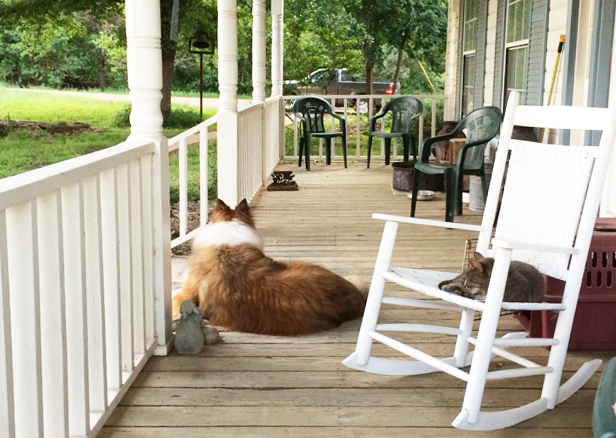 Collies also make excellent watchdogs. Attuned to changes in their environment that might signal a potentially dangerous situation, Collies alert their people with loud barking. Sometimes their barking is very shrill and can be carried over long distances. They can be a challenge to keep quiet and sometimes they will bark continuously until they are sure the situation is under control. This can be a problem if there are close neighbors. Collies that do not get enough human interaction, can become nuisance barkers. They typically get along with other dogs, so having a companion helps control the barking. COATS: Roughs have a double coat with a hard, weather-resistant outer coat and a soft, fluffy undercoat. Smooths have a double coat with a short, close, dense, flat outer coat and an abundant undercoat. COLORS: Sable and White, Tri-Color, Blue Merle, and White. SIZE: Males should be 24 to 26 inches at the shoulder and 60 to 75 pounds. Females are 22 to 24 inches and 50 to 60 pounds. BEST HOME: Inside with family and great with children and other pets. VARIOUS HEALTH CONDITIONS: Collie Eye Anomaly, progressive retinal atrophy, auto-immune disorders, thyroid problems and bloat. Here is an important link to Collie health information:www.colliehealth.org. MEDICAL SENSITIVITIES: Heartworm medications containing ivermectin and ivermectic related products, Immodium and the chemotherapy drugs and anesthesia.